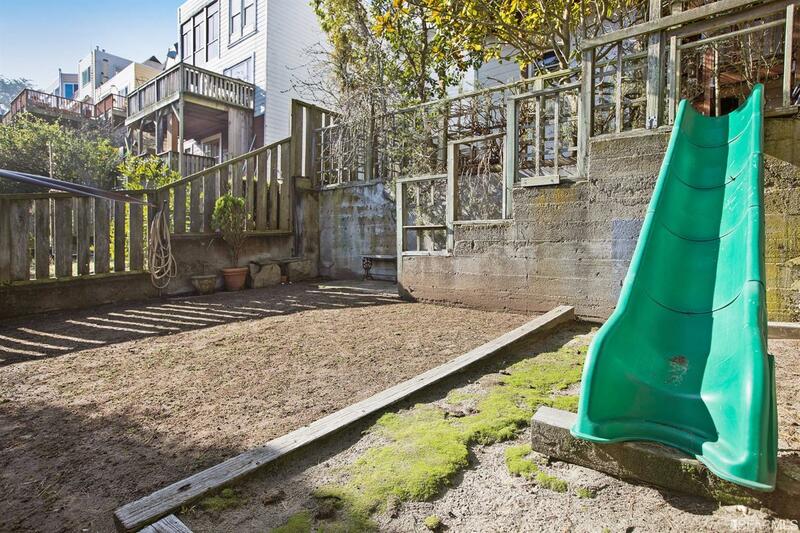 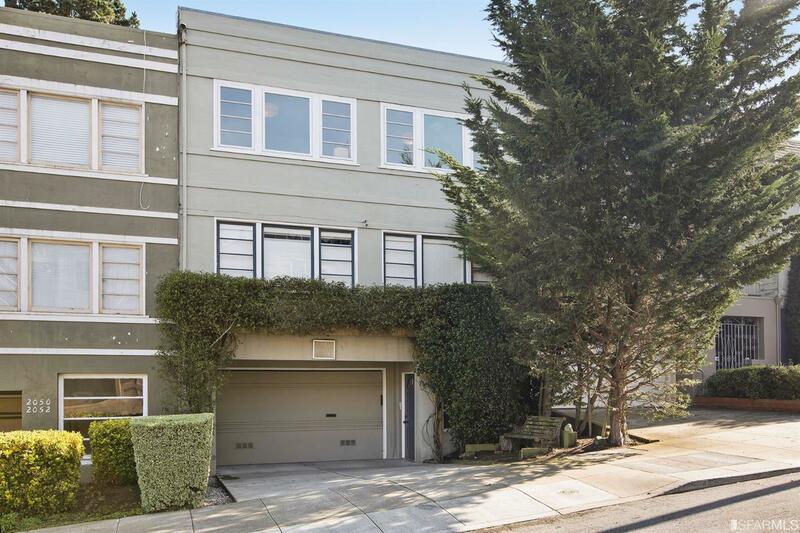 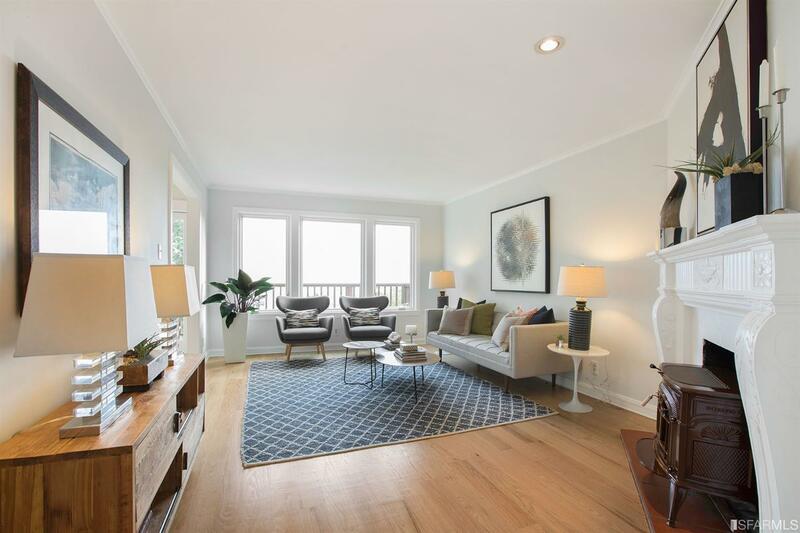 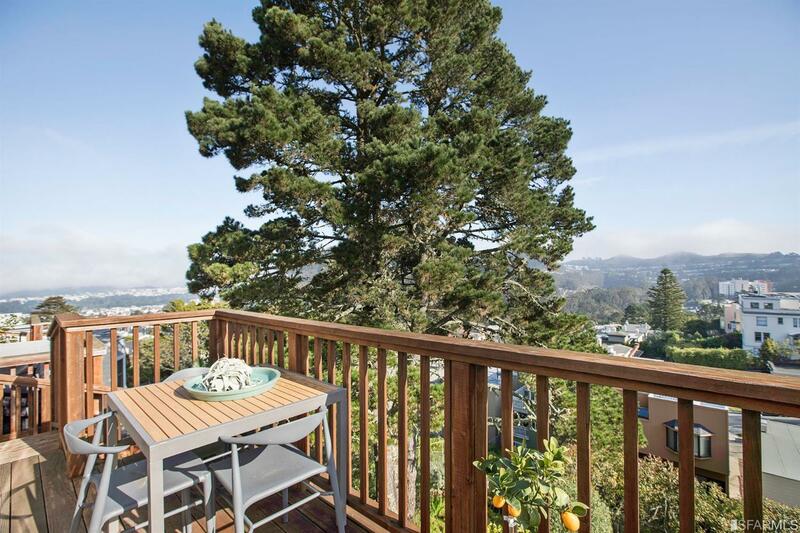 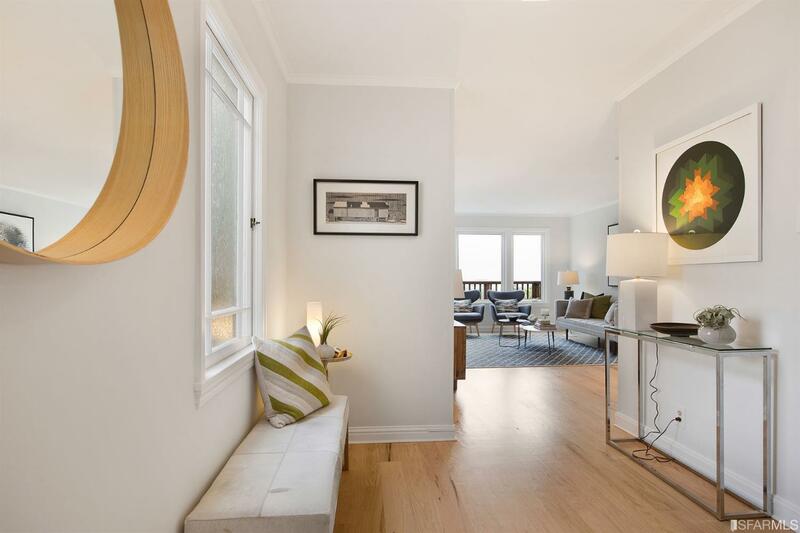 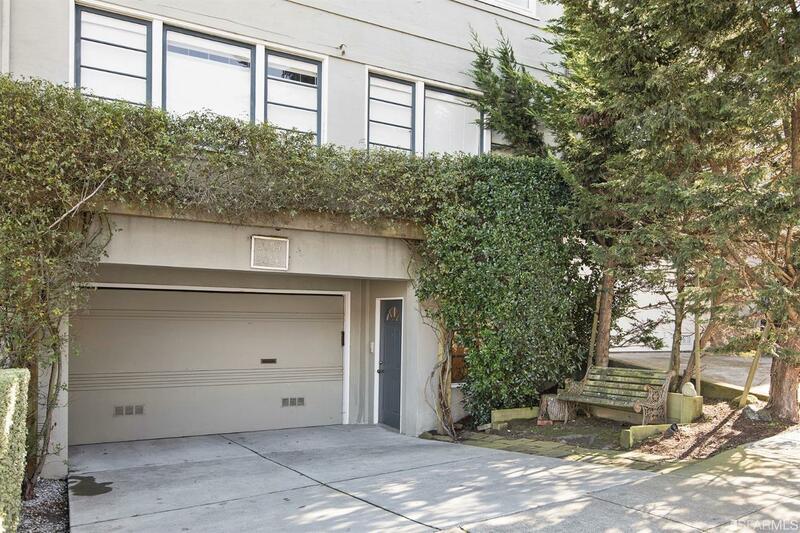 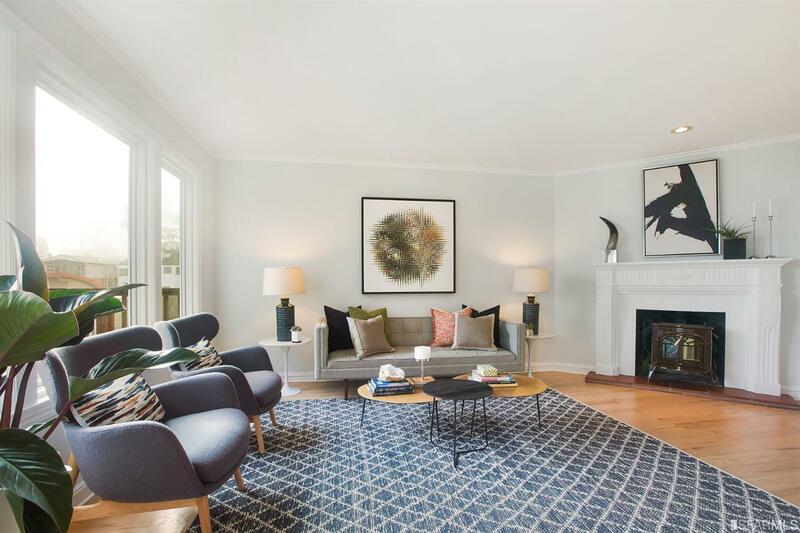 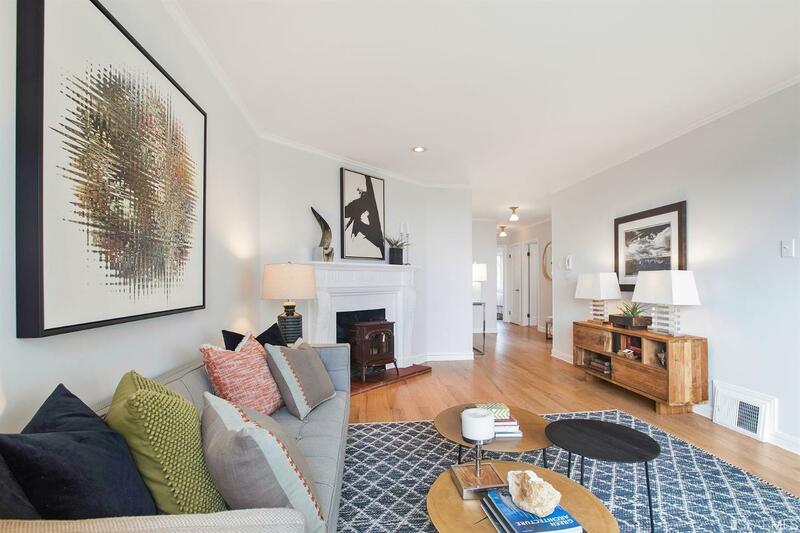 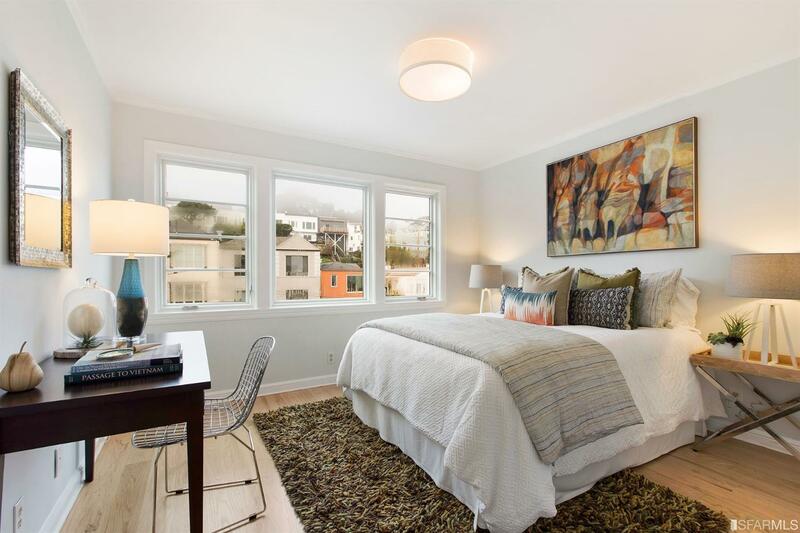 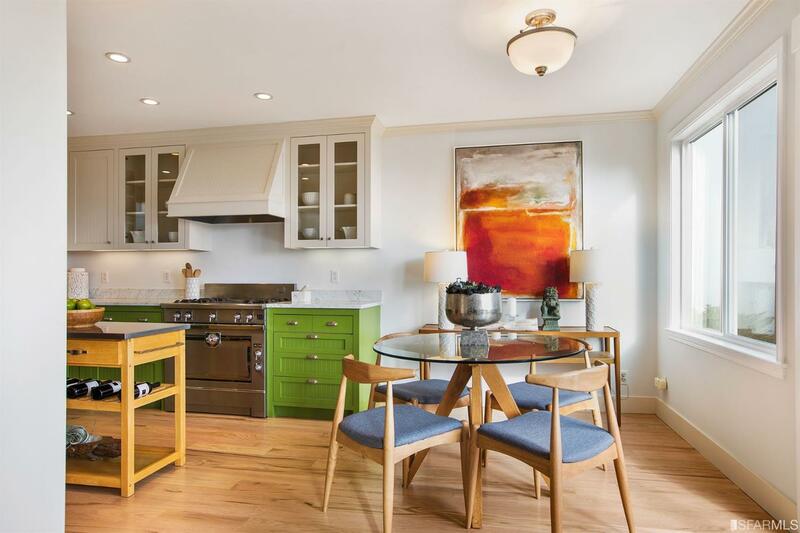 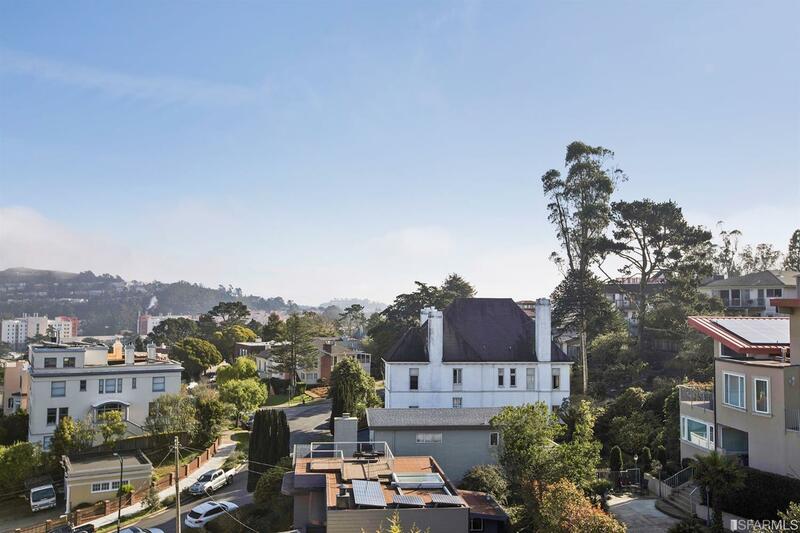 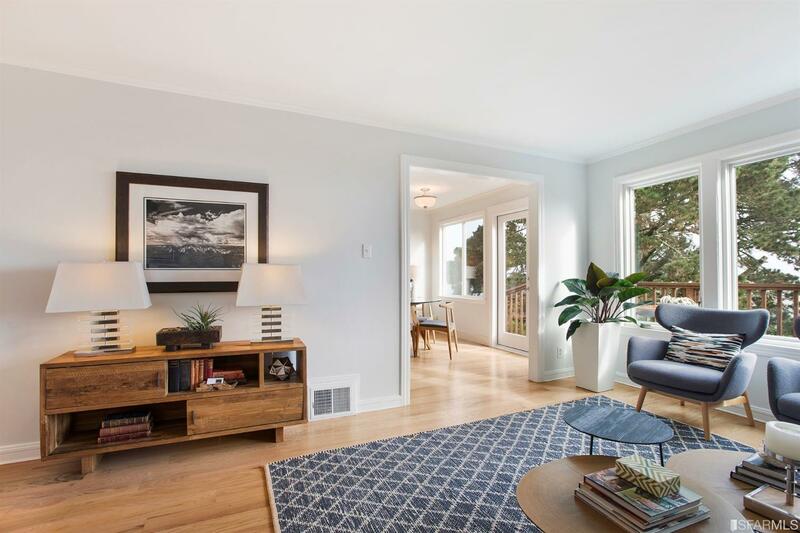 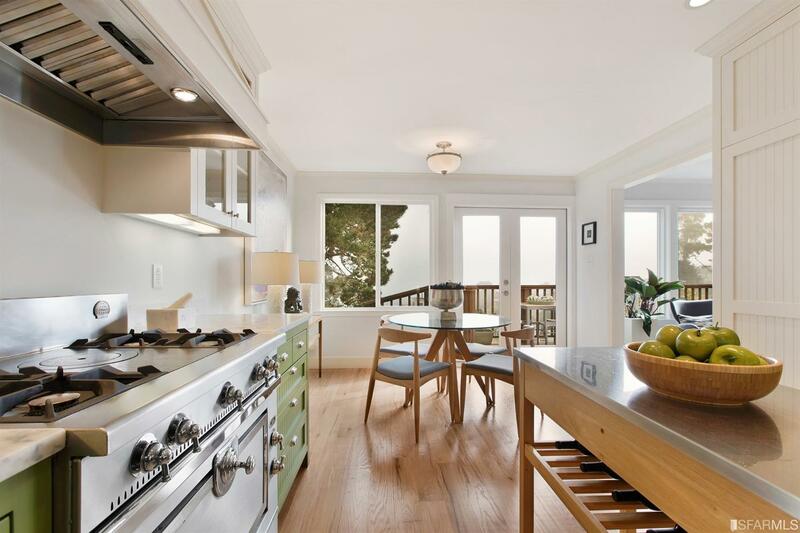 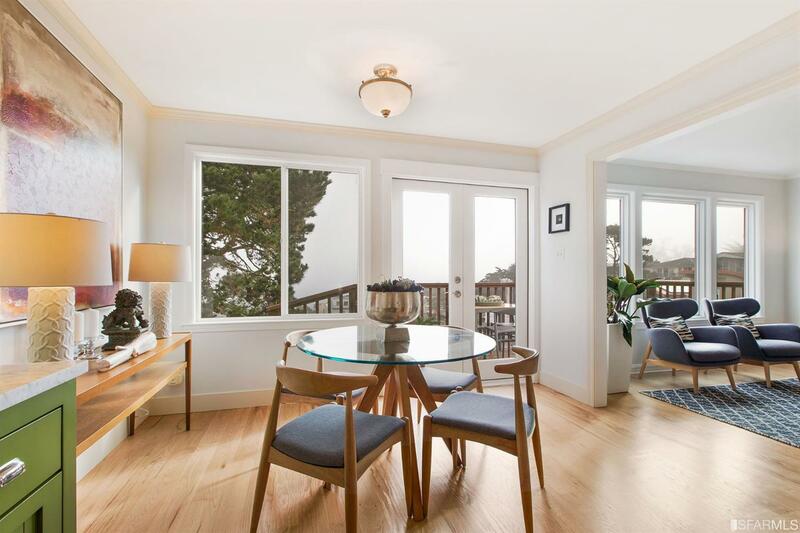 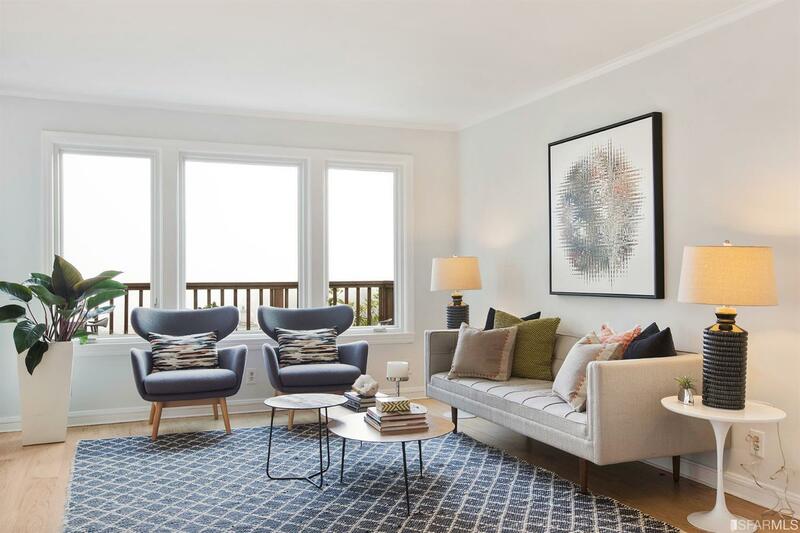 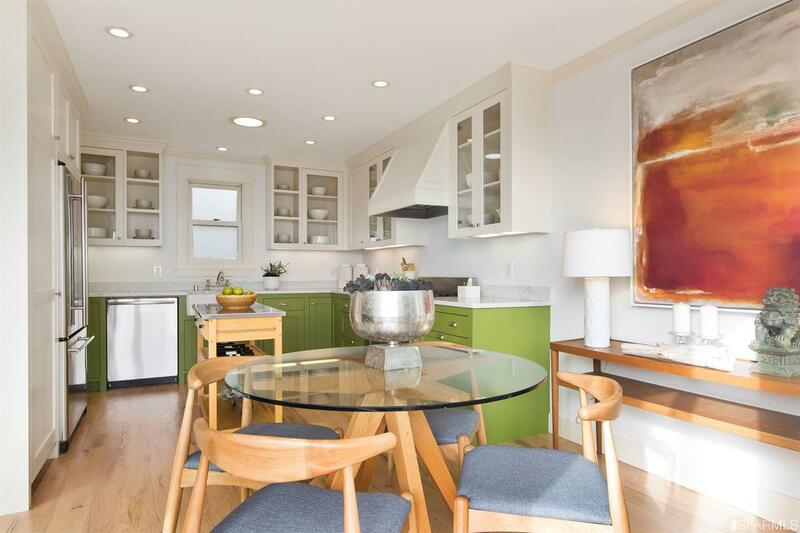 Charming Mid-Century Modern condominium in beautiful Golden Gate Heights. 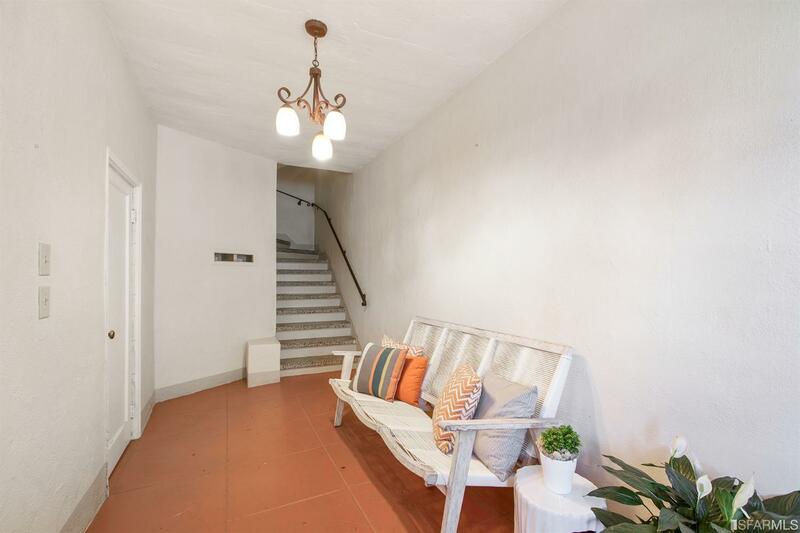 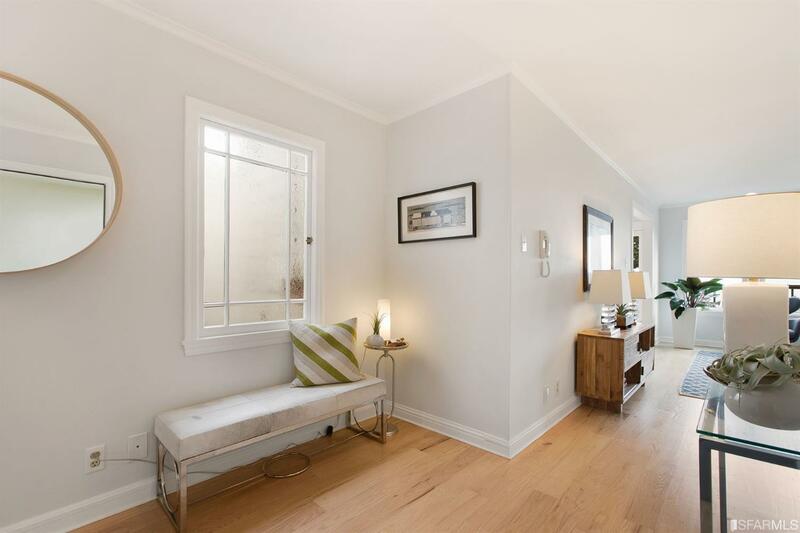 Spacious top floor open plan unit with two bedrooms, one bath, one car parking plus two storage areas. 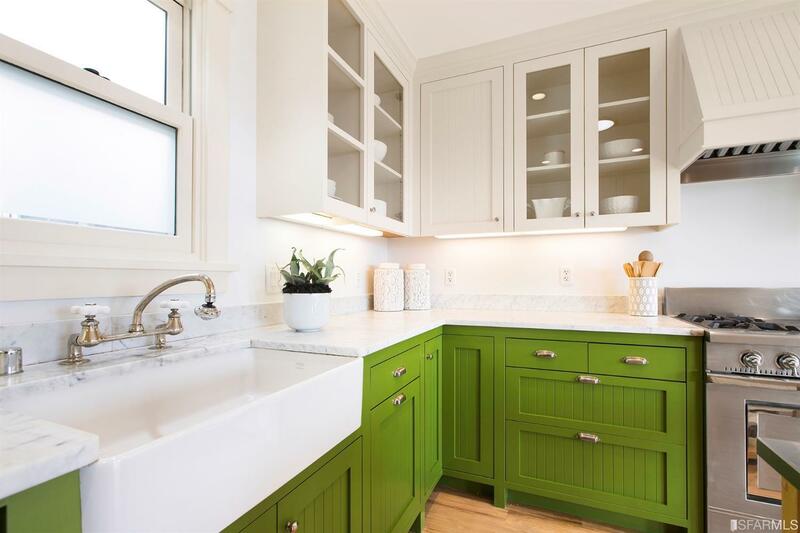 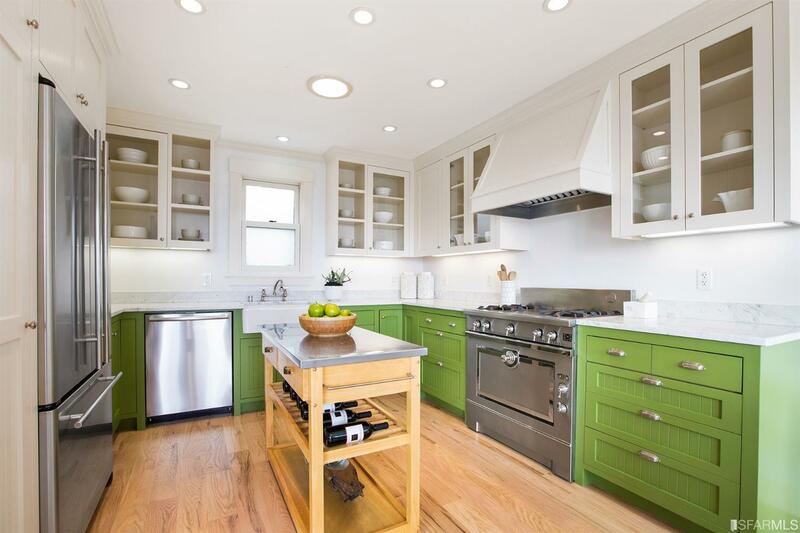 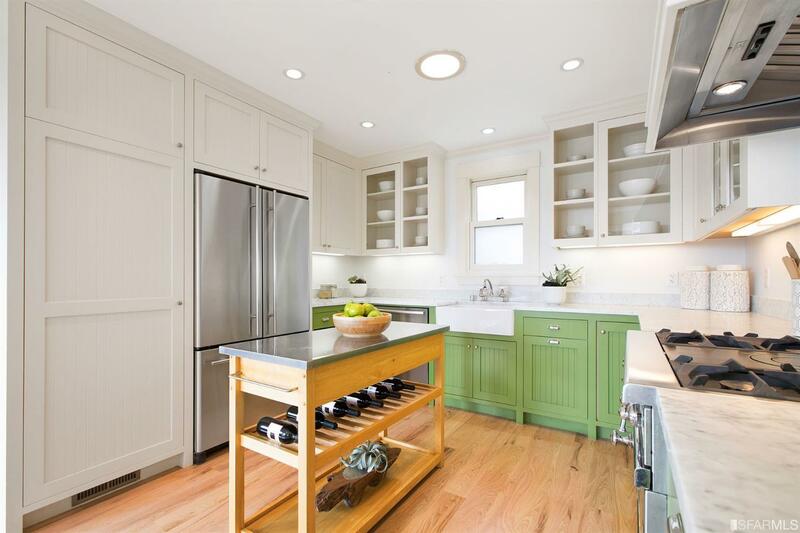 Renovated french country kitchen with designer La Cornu stainless gas stove, marble countertops and custom wood cabinets with tons of storage. 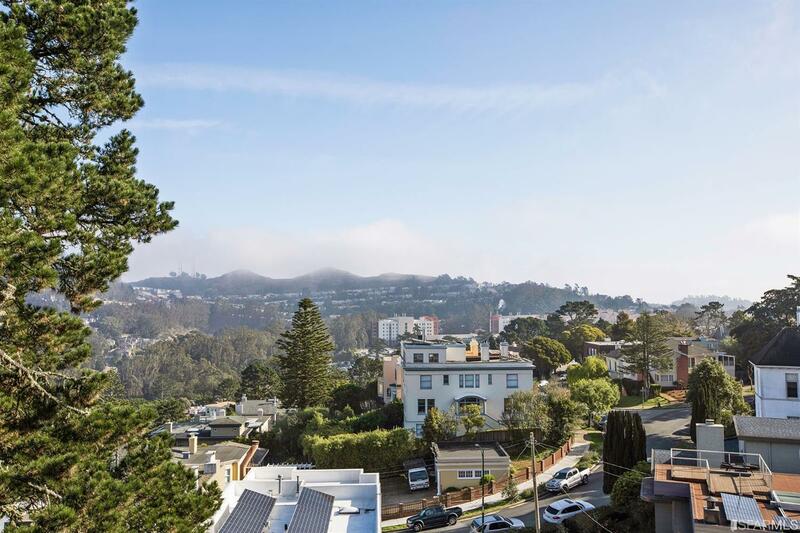 Panoramic city lights, hills, park and water views from open living/ dining areas and exclusive use deck. 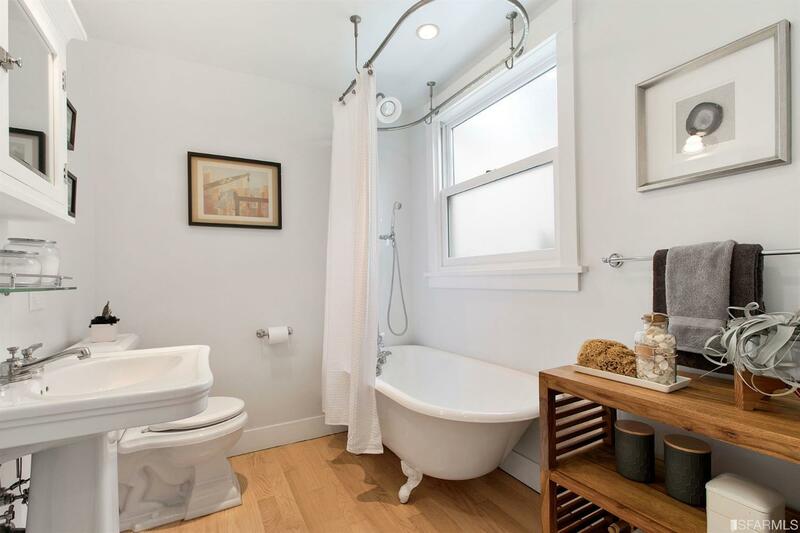 Additional details include: newly refinished hardwood floors, newly painted interior, Pella double paned wood windows in most rooms, renovated period style bath with clawfoot tub, and romantic wood-burning fireplace in living room. 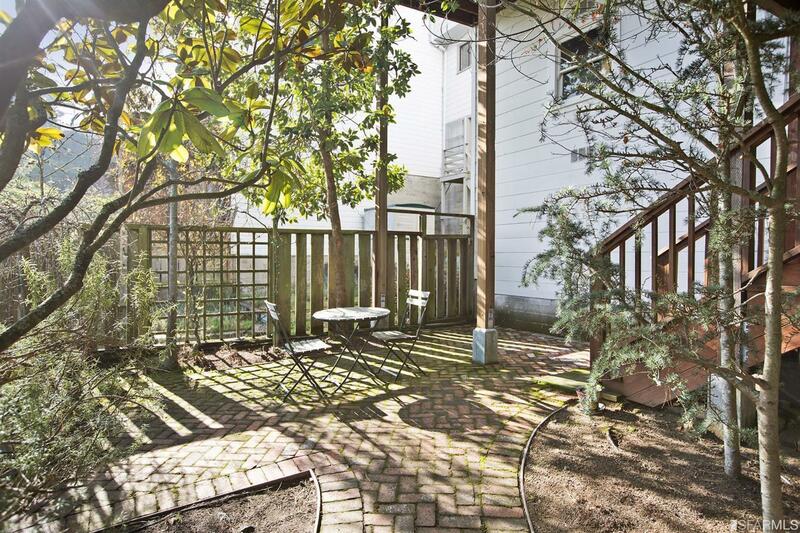 Common areas include huge multi-use garden and an hoa with low dues. 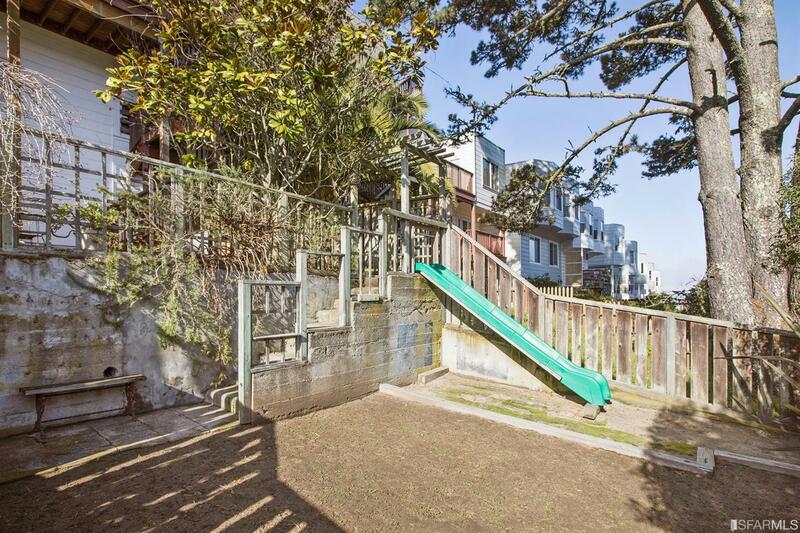 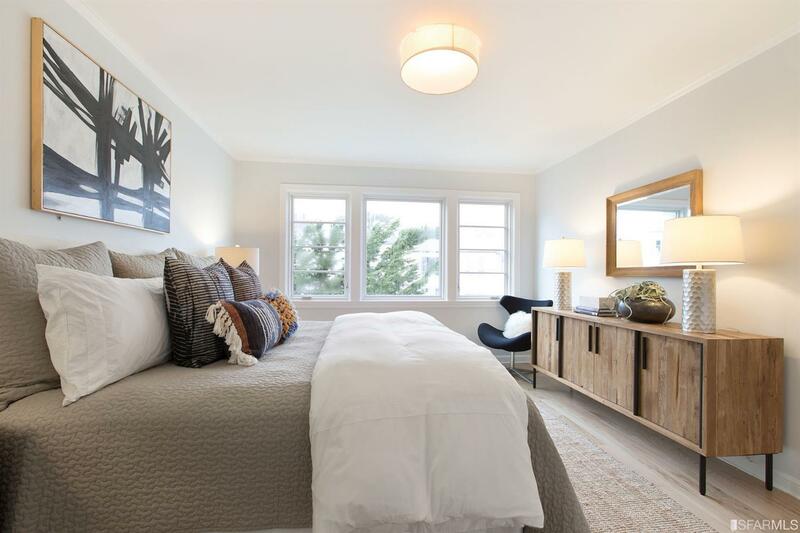 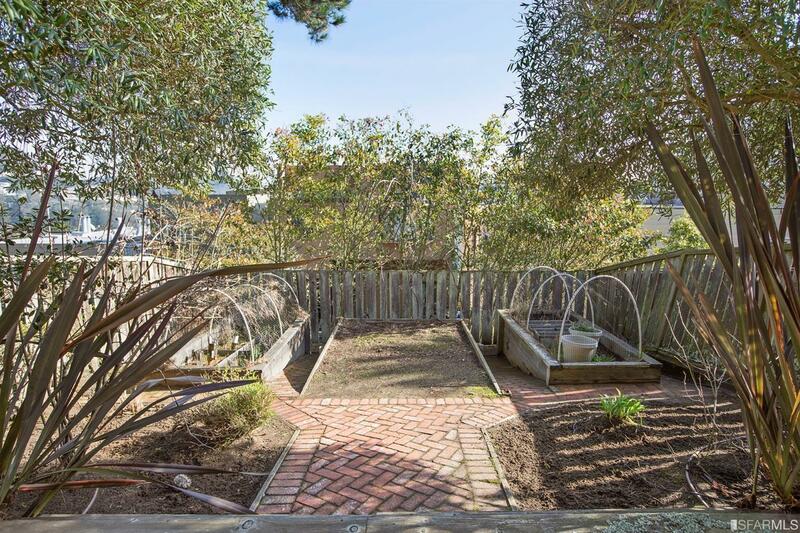 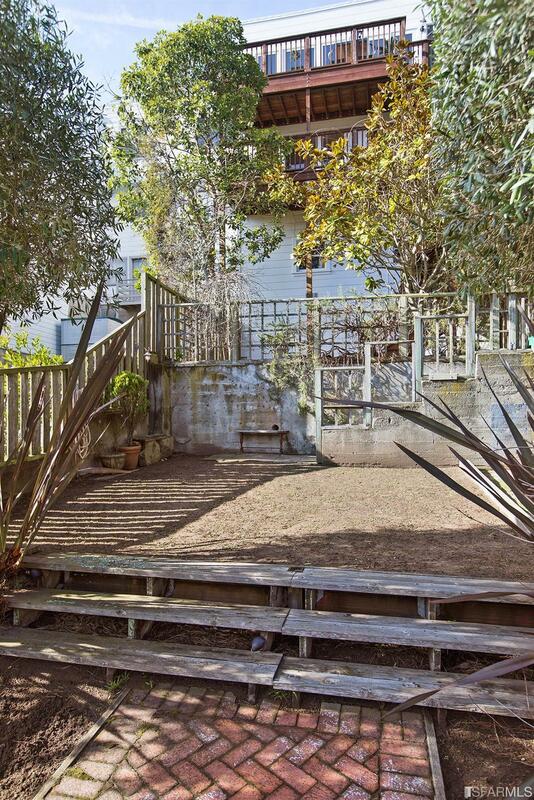 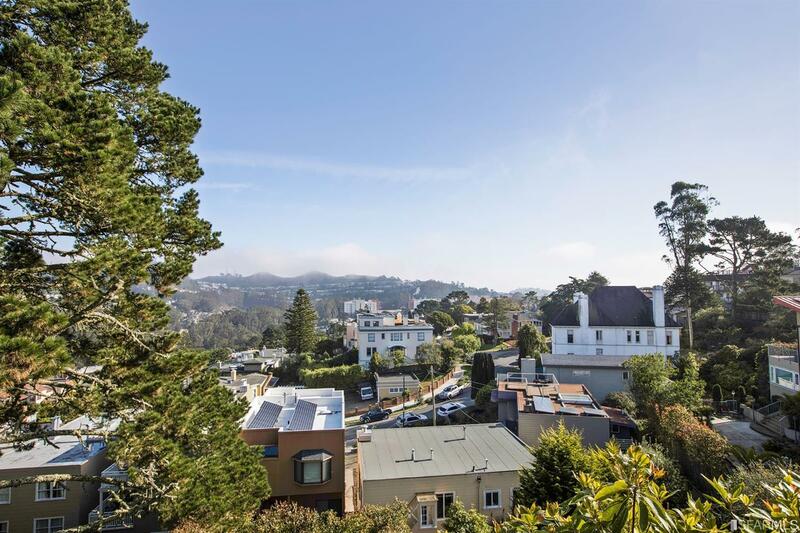 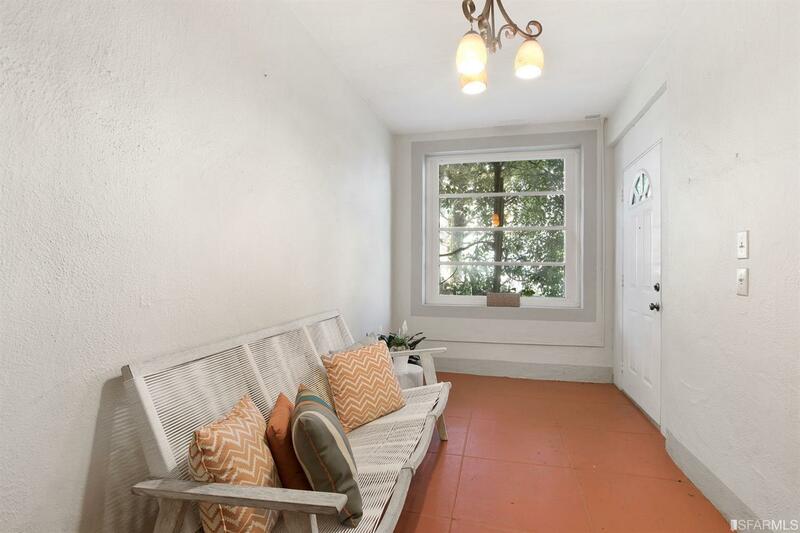 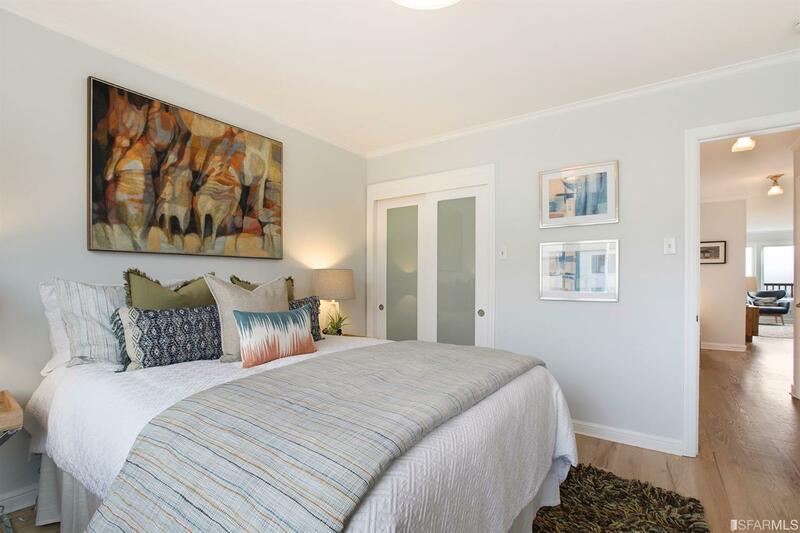 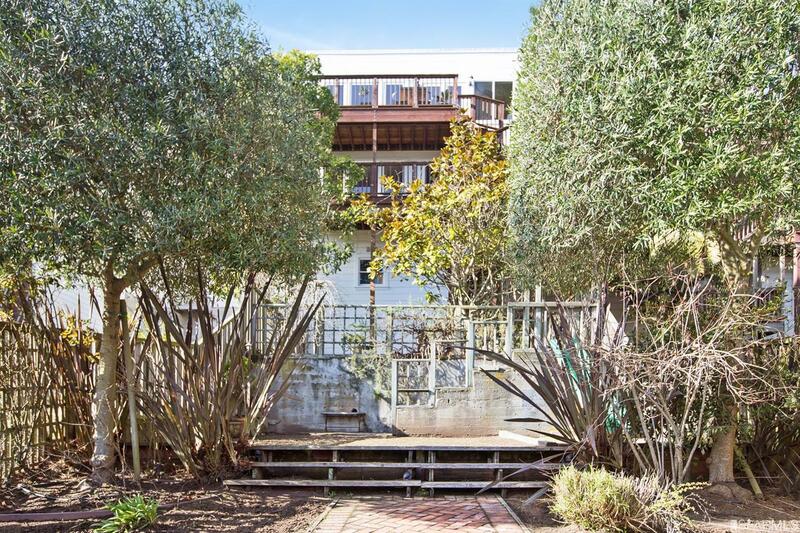 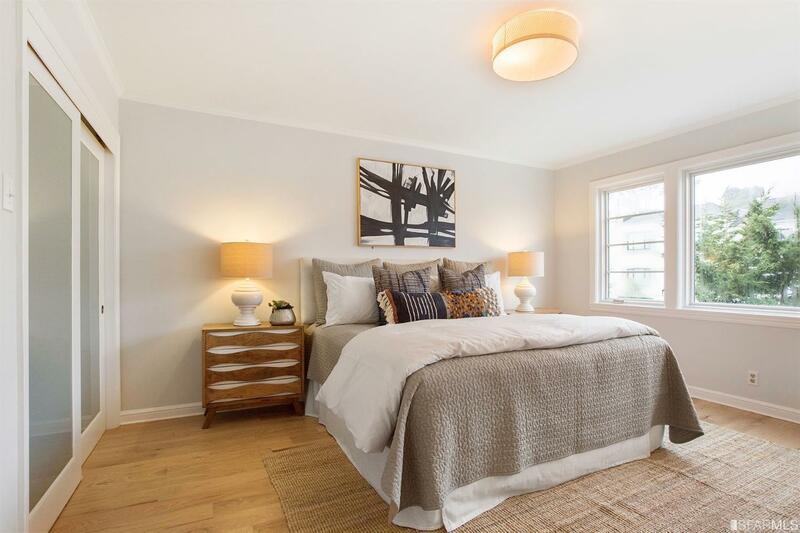 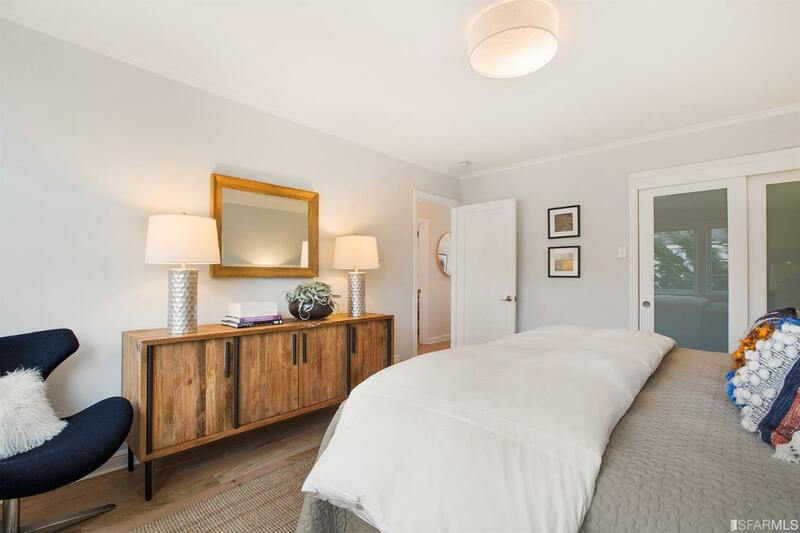 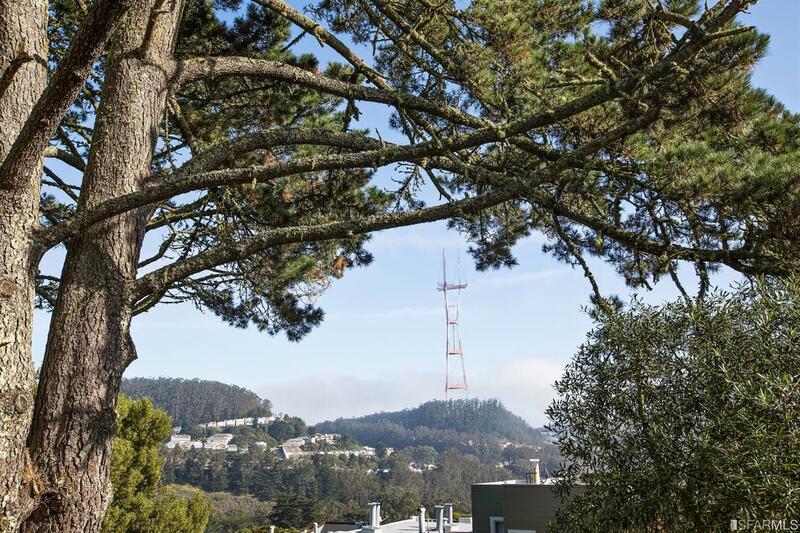 Wonderful, quiet location near Inner Sunset, Golden Gate Park and West Portal.